SERVPRO of Mount Ephraim/Bellmawr are experts in the cleanup and restoration of residential and commercial properties after a fire, smoke, storm or water damage. SERVPRO of Mount Ephraim/Bellmawr can also remediate mold and mildew from your home or business. SERVPRO of Mount Ephraim/Bellmawr staff is highly trained and experts in property damage restoration. From initial and ongoing training at SERVPRO’s corporate training facility to regular IICRC-industry certification courses. 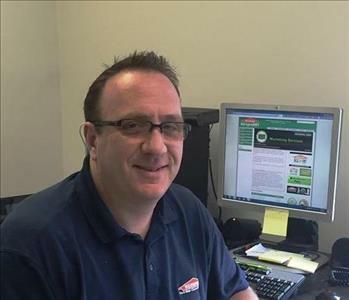 With a nationwide system of qualified franchises, no damage is too large or too small for SERVPRO of Mount Ephraim/Bellmawr. Since fire or water damages do not always occur on normal business hours, SERVPRO of Mount Ephraim/Bellmawr is open 24/7 and even on holidays. If you would like to schedule a service or have us look at your home or business, please call us at (856) 349-7318.